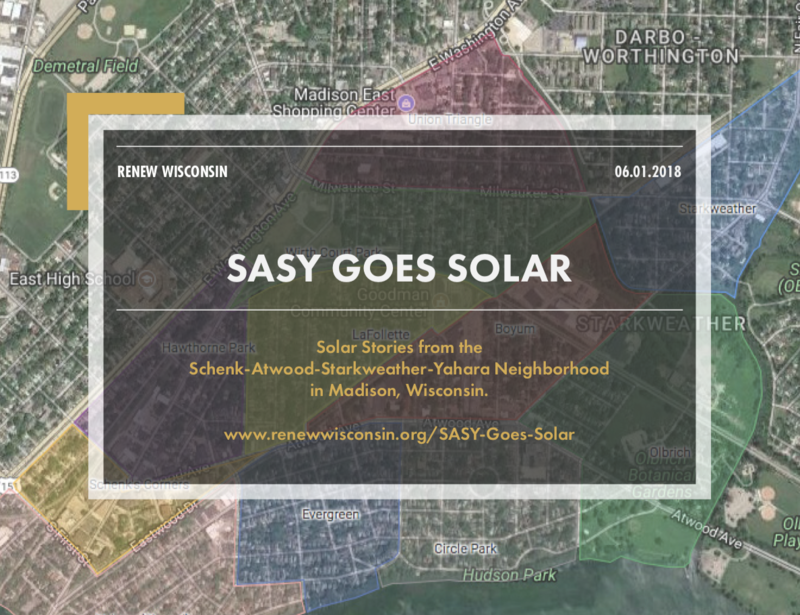 Legacy Solar Co-op gets special mention in the SASY neighborhood solar report for our work helping provide LED retrofits and 20 kilowatts of PV on Trinity Lutheran Church, 1901 Winnebago Street in Madison. Our partners were Full Spectrum Solar and Burke and Mark O’Neal, owners of FSS. The project has been a huge success and has drawn visitors from other parishes around the state to learn more about how we accomplished this low cost option for houses of faith. Follow this link to read about several solar successes in these thriving east side neighborhoods here.